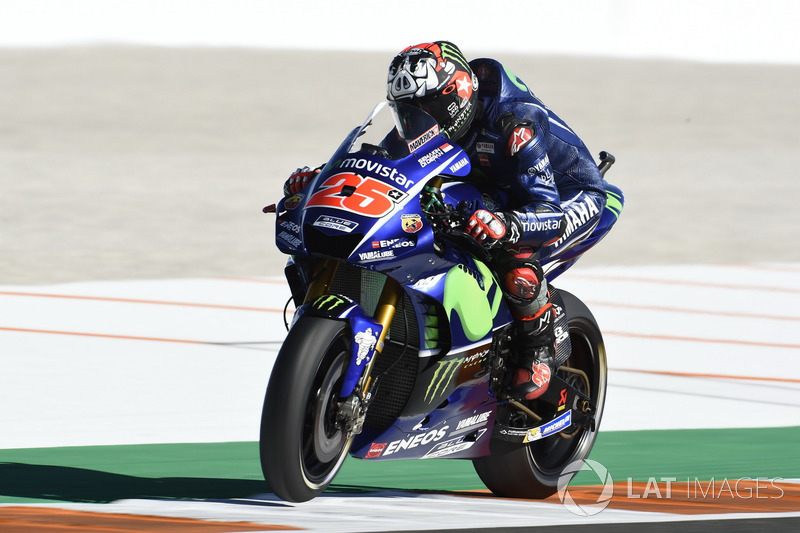 Maverick Vinales admits he has yet to master the art of making good starts on his Yamaha MotoGP bike even after two years with the team. Despite qualifying second behind Marc Marquez in last month's Argentina Grand Prix, Vinales was on course for an indifferent seventh-place finish when he was taken out by Franco Morbidelli on the last lap. 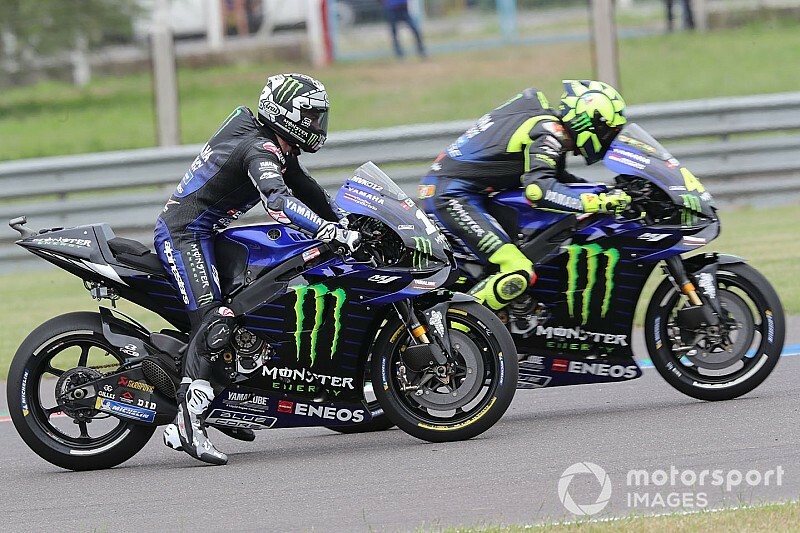 It came after a characteristic slow start and difficult first couple of laps at the Termas de Rio Hondo track, from which the factory Yamaha rider struggled to recover. "For sure the objective right now is to do not the same mistakes as Argentina that we had inside the bike," said Vinales ahead of this weekend's Circuit of the Americas race. "Finally, some easy things we can solve that need to be solved for this race. "Anyway the first lap was not so bad. It’s true I lost quite a lot at the start, but we understand we need to find good engagement of the clutch, some things we wanna improve. "But then in first lap I felt good, I overtook two or three riders that lap, then it came some mistakes, I went really far from the track and I started to get stuck with the riders, I could not improve." 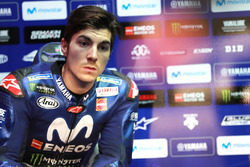 Asked why he struggles with the starts in particular, Vinales replied: "It’s difficult to understand. "With the Suzuki in 2016 I was starting really good. I jump many rows [ahead] in some races. So it’s very difficult for me. I think it’s the way the Yamaha starts, still I didn’t understand. It’s two years but still I don’t understand how to do it. 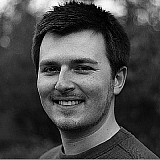 "So [we need to find] a way to understand how to do it, and if the team can help me a little bit more. We’re gonna try to improve race-by-race. 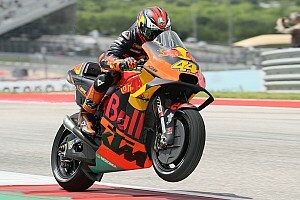 For sure this race I’m gonna improve the engagement of the clutch so the reaction will be much better at the start." Vinales already trails championship leader Marquez by 36 points after only two rounds, his only points so far having been for finishing seventh in the Qatar season opener. But the Spaniard says he can take some hope from the fact he had a similar points lead overturned in 2017, when he romped to victory in his first two races as a Yamaha rider before suffering a dramatic loss of form later in the year (pictured below). "It’s gonna be very difficult [to catch up], admitted Vinales. "If I look backwards to ’17, in the first races I felt unbeatable. But then I started to make mistakes, I started to crash, started qualifying bad in the wet. "It will be difficult to recover points, but now we have nothing to lose, so we have to push to be in the front, and try to have the chance to win races."